The Clanranald Trust for Scotland has joined the production of Outlander while it films in Scotland. Members of the trust are dedicated to promoting increased awareness of Scottish Culture and Heritage through interactive education. Some of our fundraising activities include period battle displays, corporate themed entertainment and film/TV work. Our ultimate aim is to replicate a medieval fort and village as an interactive educational visitor attraction. The idea behind the project is to provide an arena in which groups, individuals and school parties can experience the atmosphere of an authentic medieval working community. Once completed the Trust intend to use this development as a centre from which to base their work with the local community and educational institutions, whilst also offering a great forum for companies to entertain clients and employees alike. The Film and TV industries will also find the project useful as a “set”. Ever heard of these books? This amazing story is going to be made into a TV series and filming will take place here in Scotland!! We met with production early this morning and are very excited to be working at home for a change Onwards & Upwards! And then on August 12th, they posted something else to their FB Page and Twitter account. The status was removed from FB, but the remnant of it is still on Twitter. I would encourage everyone to take a look at their FB page and all their photos. The group can be seen in the upcoming Thor: The Dark World. 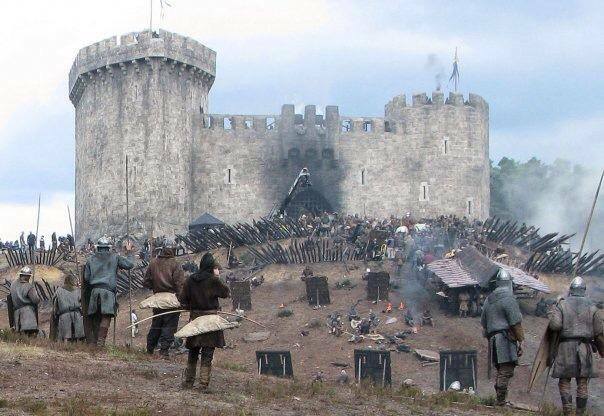 This entry was posted in Production News and tagged The Clanranald Trust for Scotland by Sarah Ksiazek. Bookmark the permalink.